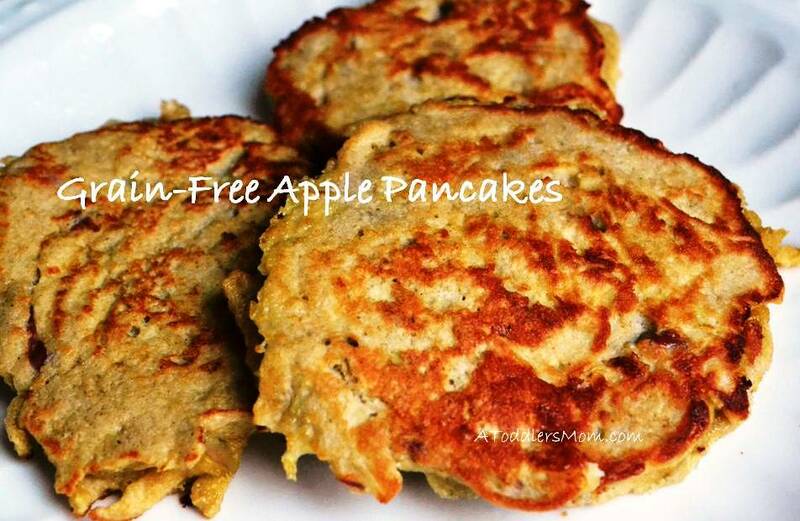 These apple pancakes are perfect for a fall morning. With a nice light texture and a hint of cinnamon, they make a wonderful breakfast or a light lunch. Not only are they rich and delicious, but they are also packed with nutrition since they are grain-free, nut-free, sugar-free, and dairy-free. Serve them with applesauce or honey, and you have a complete breakfast that is compatible with both of the specific carbohydrate diet and the paleo lifestyle. Beat together eggs, shredded apple, and cinnamon. Slowly add in coconut flour and blend until smooth. Use coconut oil to grease a frying pan and let the pan warm up on medium heat for a few minutes. Drop batter by spoonfuls onto pan and cook until they are a light brown. Serve Immediately. Yummmmmy!!!! These remind me of pancakes we make: 2 eggs, cinnamon, and a banana in a blender. That sounds amazing! I can’t wait to try your recipe. Thank you for sharing! These sound amazing, like potato pancakes only better!